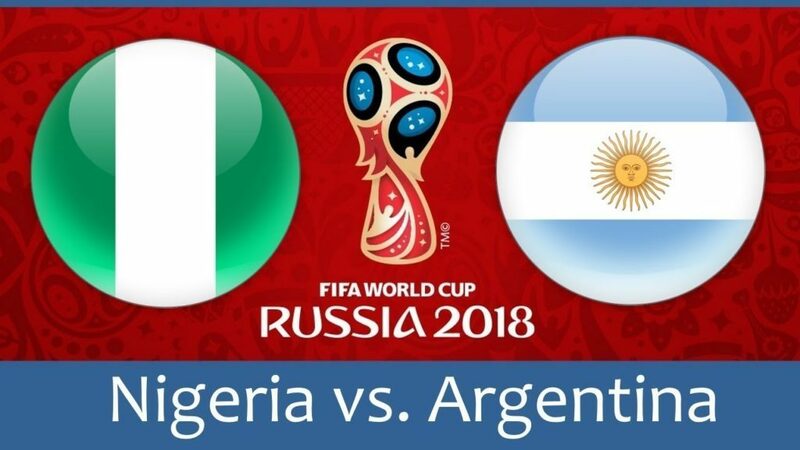 The clash between Nigeria and Argentina will be played at the Saint-Petersburg Stadium in Saint Petersburg on June 26th. The Albiceleste disappointed in the opening two games, particularly in the latest one with Croatia, and now they are playing with their back against the wall, so all the pressure could have a devastating effect on them. Nigeria could get the things going against Croatia in the opening game and in the first half in a duel with Iceland, but one counter-attack and a good combination between Victor Moses and Ahmed Musa changed the Super Eagles’ fortunes and lift the spirits to every player in the squad. Moses set up a goal for Musa in the 49th minute, while the same player doubled Nigeria’s lead in the 75th minute, so it was evident that the Africans will get a win at +200. Gylfi Sigurdsson had a chance to put Iceland back in the game but he failed to convert a penalty spot in the 81st minute, and the Our Boys didn’t catch the last train, so the Super Eagles secured a fully deserved 2-0 victory. On the other hand, Argentina was expected to bounce back from a disappointing draw with Iceland with at least a point against Croatia, they displayed even worse performance in a 3-0 defeat. The first half wasn’t interesting, but the second 45 minutes produced plenty of excitement, especially in front of Argentina’s goal as Ante Rebic was the one to open the scoring as he happily accepted an unexpected gift from Willy Caballero and scored a volley to make it 1-0 in the 49th minute. The Albiceleste couldn’t score on the other end despite a few good opportunities, while Luke Modric decided the tilt with a fantastic strike from outside the box in the 80th minute, and Ivan Rakitic put the final nail in Argentina’s coffin in the 91st minute. That third goal was a blessing from the sky for the punters who had over 2.5 goals at +135, while Croatia’s win at +300 did surprise the bookies a bit. Ahmed Musa must be considered as the biggest threat to Argentina’s goal after an outstanding display in the previous game and his speed could create plenty of trouble to the rival defenders, so He could play a vital role here. Leo Messi is probably the player who plays with the biggest pressure at the moment as the entire nation expected much more from him, but it seems that since the missed penalty against Iceland, he cannot play at his usual level. It is a judgment day for him and his chances to win something with Argentina, so it is to be or not to be for one of the best players ever. Nigeria: Uzoho; Omeruo, Troost-Ekong, Balogun; Idowu, Ndidi, Mikel, Etebo, Moses; Iheanacho, Musa. Argentina: Caballero; Mercado, Otamendi, Rojo; Acuna, Perez, Mascherano, Salvio; Di Maria, Aguero, Messi. Nigeria’s chances to win the World Cup are now +25000, while the Super Eagles are +1100 to reach the quarter-finals. Argentina’s chances to win the World Cup are +2500, while the Albiceleste is +250 to reach the quarter-finals. Argentina is a favorite to win at -182, but all who backed them in the previous two games will be afraid to do so again, so it is perhaps a better option to go with goals here. The Albiceleste must attack from the start which will definitely leave open space for Nigeria and Ahmed Musa to hit them on the break, which smells on over 2.5 goals to me.